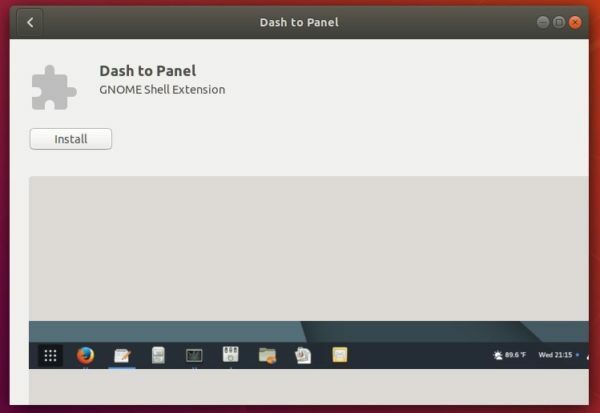 This quick tutorial is going to show how to move the clock from middle to the right of the top panel in Ubuntu 18.04 Gnome Shell. The date and time is by default displayed in the middle of top panel in Gnome 3 desktop. It’s hard coded with no tweak option to change its position. However, a Gnome Shell extension can do the job. 1. Open Ubuntu Software, search for and install frippery move clock. Once you installed the extension, the clock change its position to right. 2. (Optional) To restore the changes, simply remove the extension via Ubuntu Software. In addition, another extension Dash to Panel is also available which merges the top and the left panel into one to offer Windows style single panel with clock in the right system tray.